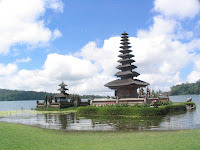 Bali is known as Deity Island (island God / island Paradise) constitute one of place wisata best at Indonesia even the world. Kuta, Sanur, Nusa Two, Bedugul, Ubud, Sukawati, Lovina, etc. constitute famous wisata place at Bali. Bali is one island at Indonesian, at a swoop as one of Indonesian province. Bali lies between Java and Paprika Island. Its province capital it Denpasar, one that lie at austral this island. 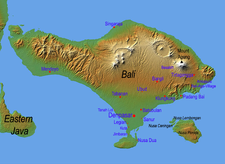 Balinese islandic majority is pemeluk hinduism. At the world, Bali well known as tourism aim with yielding various uniqueness its culture art, notably divides touristed Japanese and Australian. CopyRight@Indonesia Amazing. Simple theme. Theme images by molotovcoketail. Powered by Blogger.